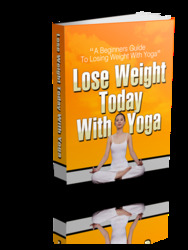 Completing a book that covers as many practices and issues as Yoga for Men is a daunting task, which could not have been accomplished without the help of many people, most of them sincere practitioners of yoga who volunteered their time and talent to help make this book as reliable, photogenic, and helpful as possible. In addition to the venerated sages of the yoga tradition whose writings and teachings provided the foundational information contained in this book, I would like to acknowledge my indebtedness, in particular, to the following individuals. To the models of Yoga for Men, who came together to show real people doing real yoga: Lola Brooks, Noll Daniel, Mark Donato, Gerrit Geurs, John Howard, Michael Latham, Emily Ranieri, and Alan Rothenberg. Special thanks to Emily for helping to shepherd everyone together; to Alan for providing a safe space for the shoot; and to Noll and Michael for illustrating more eloquently than words, both singly and together, that yoga can be not only skill, but also grace and artistry in action. To my yoga teachers, who have taught me much. What is best in this book is due to them; what can be improved is of my own doing. Two teachers, in particular, were especially helpful in reviewing the text of Yoga for Men for technical assistance: Jon Cassotta and Mark Donato. To other teachers, practitioners, and authorities in the field of yoga and men's health, who shared their expertise. The following were especially helpful: Prem Anjali; Lila Crutchfield; Richard Faulds; Edward Goldberg, M.D. ; Gary Kraftsow; Michael Lee; James Murphy; Swami Ramananda; and Swami Sadasivananda. Many more people, too numerous to cite individually, offered valuable input. You know who you are and I am very grateful to you. To my friends Clifford Milo and Artour Parmakian, who provided emotional support, a quiet space to craft the final version of this book, and creative and design assistance. To my agent, Jeanne Fredericks, who believed in this project from the start. And to all the crew at Career Press, who collaborated with and supported Yoga for Men from beginning to end—and especially to my editors: Stacey Farkas, Mike Lewis, and Kristen Parkes. To Thomas Amador, who photographed all the illustrations in Yoga for Men. His calm presence helped keep everyone, including myself, centered throughout the shoot—body, soul, and mind. A gifted yoga teacher himself and a wise soul, he used his gifted eye to bring Yoga for Men to life. Thank you, Thomas. Finally, to the many masters of yoga—including T.K.V Desikachar; Georg Feuerstein, Ph.D.; B.K.S. Iyengar; Jean Klein; Swami Rama; Swamis Sivananda and Vishnu-devananda; and Swami Satchidananda—whose teachings and writings have inspired me and are the whisper behind the words of this book.